New York, NY Target plans to open three small-format stores in New York totaling 115,600 s/f, each in a different borough of the city – on Manhattan’s Upper East Side, on Staten Island, and in Astoria Queens. Nationwide, Target is reaching new guests by expanding small-format stores in urban areas, dense suburban neighborhoods and near college campuses – places where a traditional-sized Target store may not fit. The retailer is on track to operate 130 small-format stores by the end of 2019. These stores offer a shopping experience and assortment that is tailored to meet the needs of local guests. 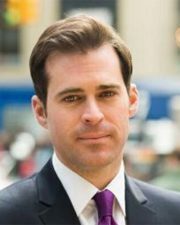 “As we continue to expand our footprint with small-format stores throughout New York, we strive to provide a convenient, one-stop shopping experience customized for locals, commuters and visitors in each unique neighborhood. All three of these new stores will offer the best of Target in that borough, yet curate the assortment to meet the needs and preferences of the nearby community,” said Mark Schindele, senior vice president, properties, Target. Target’s Staten Island store will offer services like a CVS Pharmacy and Starbucks, while the new Upper East Side store will feature a broader beauty assortment and convenient food options. The Astoria Queens location will include a CVS Pharmacy and focus its assortment on home décor, apparel basics and technology products. All stores will offer order pickup, giving guests more convenience and added security with the ability to buy online and pick up in store. More than 95% of order pick-ups are ready in less than an hour for guests at their local Target store. These three stores will each employ 50-100 team members. Target is an employer that values the individuals who come together as a team to serve guests in the community and provides team members with opportunities to build and develop skills for their careers. Target offers market competitive wages in cities across the country to recruit and retain strong team members and provide an elevated experience for its guests and in the communities it serves. 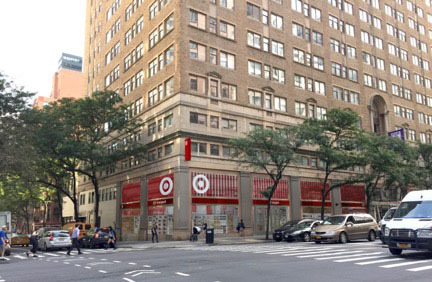 The Upper East Side store will be 22,600 s/f and located at the base of The Fairfax residential building at 1201 3rd Ave., near the intersection of E. 70th St. and 3rd Ave. Target has signed a lease with TF Cornerstone and plans to open the store in 2019, making it Target’s seventh location in Manhattan, joining existing stores in Harlem, TriBeCa and Herald Sq. Target will also open its Lower East Side and East Village stores this summer, and a Hell’s Kitchen store in 2019. 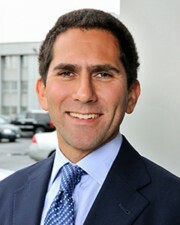 Richard Skulnik of Ripco represented Target in the transaction, and Andy Kahn and Christian Stanton of Cushman & Wakefield represented TF Cornerstone. “We are thrilled to be partnering with Target to open its first-ever store on the Upper East Side at The Fairfax (201 E 69th St). With its wide assortment of products and quick shopping experience, the new Target will become a valuable resource for not only residents of The Fairfax, but the entire Upper East Side community,” said Steve Gonzalez, director of retail leasing, TF Cornerstone. The Staten Island store will be Target’s first small-format store in that borough, and is also planned to open in 2019. Target has signed a lease with Kimco Realty for the 46,000 s/f store, which will be located at Forest Ave. Plaza, near the intersection of Forest Ave. and Marianne St. Jeff Howard of Ripco Real Estate represented Target, and Kimco’s Brett Cooper in-house represented the landlord. The Astoria location is planned to open in 2022, and will be Target’s third small-format store in Queens, alongside the existing Forest Hills location and the Jackson Heights store to be opened in 2019. Target signed a lease with A&H Acquisitions, which is contingent on development approvals. The store will be 47,000 s/f and located on 31st St., between Ditmars Blvd. and 23rd Ave., near the Astoria-Ditmars Blvd. subway station and serving the Astoria and Ditmars-Steinway neighborhoods. Howard of Ripco represented Target in the deal.